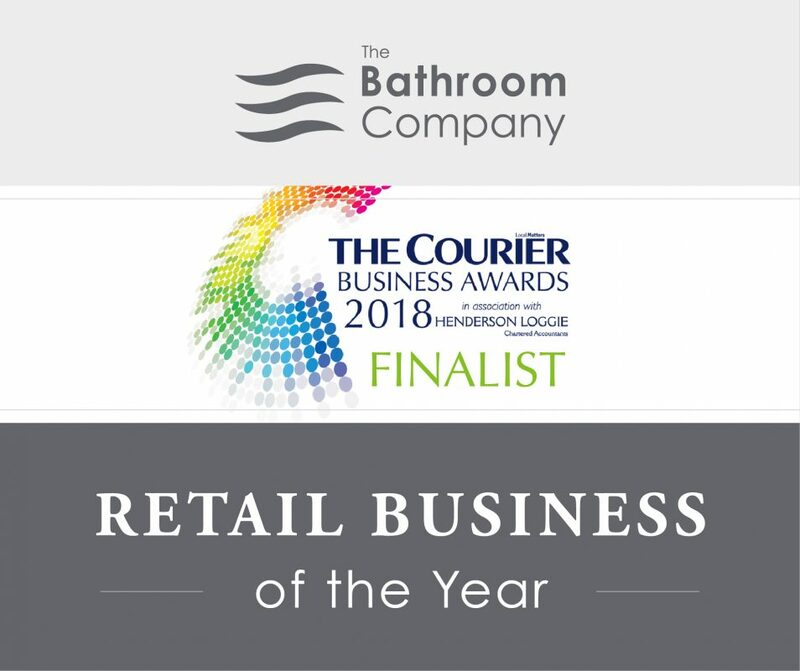 We are delighted to announce that The Bathroom Company has been shortlisted as a Finalist for the 2018 Courier Business Awards, in the Retail Business of the Year category. Following on from our success earlier on in the year, winning the KBBReview’s Bathroom Showroom of the Year, it would be lovely to make it two wins from two. Looking at our competition for this award, it’s safe to say that the judges have a tough decision to make. The quality of the opposition is a testament to the hard work and dedication of all of our team. Without them, we would certainly not be nominated amongst such well-established businesses. The Courier Business Awards, now in their sixth year, recognise and reward businesses and individuals from across Dundee, Fife, Perthshire and Angus with entrepreneurial flair, who are pushing the envelope in the pursuit of commercial success and who go that extra mile, to serve their customers and put the community at the heart of everything they do. The final will take place at the Apex Hotel in Dundee on the 27th October. We are looking forward to another fantastic night. Keep an eye out on our Facebook page to find out who has won the award. Good luck to all of the other Finalists! This entry was posted in Awards, Business and tagged Courier Business Awards, Finalist, Retail Business of the Year.